The soybean, or as the Japanese call it, edamame, is considered a staple of Japanese cuisine. From tofu to simply salted pods, many common Japanese foods incorporate edamame. And more often than not, these foods are savory. Zunda is an exception. Zunda is most popular in the city of Sendai, located in the northern part of the main Japanese island of Honshu. It is made by boiling baby soybeans until they become very soft. Seasoned with sugar and salt, the resulting paste is sweet, salty, and a little crunchy. The paste has almost become a symbol of Sendai. 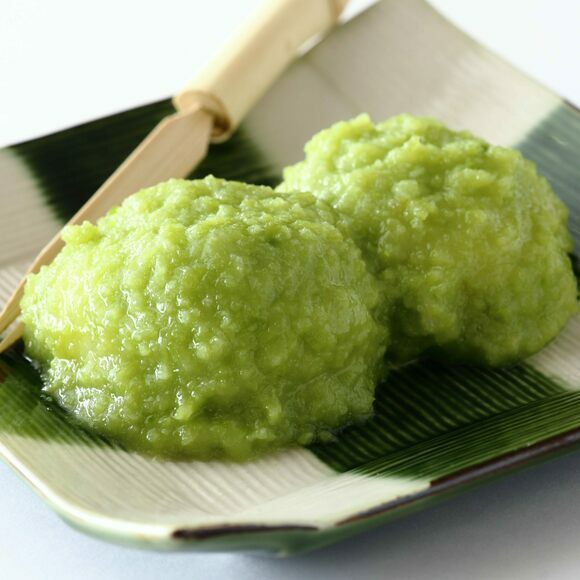 Any train station in Sendai should feature frozen zunda mochi, which is mochi filled and covered in zunda, since visiting Japanese families will want to take the treat home. Recently, almost every sweet that uses red bean paste can be found with zunda in Sendai, from roll cakes to taiyaki.